Juneau, Alaska is the largest state capital by land area. Juneau, Alaska has a larger land area than any other state capital. The United States of America consists of fifty states. While Washington, D.C. is the federal district and the capital of the country, every individual state also has their own capital. Below is an outline of the largest states in the country in terms of land area. Not all state capitals are created equal in size. Some cities are larger in land area than others. 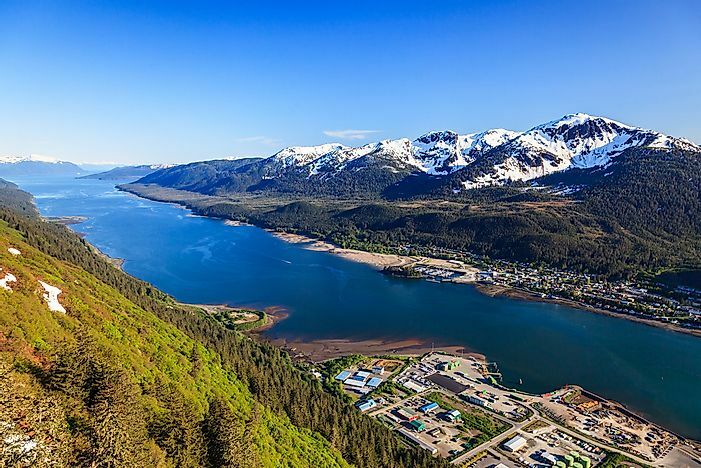 Juneau is considered to be the largest state capital followed by Oklahoma City, Phoenix, Nashville, and Indianapolis. Other large capital cities are Austin, Columbus, Montgomery, Denver, and Carson City. All of these mentioned cities cover land areas that are quite vast. Juneau is the capital state of Alaska. The capital is the largest among other states covering an extensive land area of 2,716.7 square miles. The name of the city was coined by Joe Juneau, from Quebec, who used to prospect gold. Juneau does not have roads linking it to other regions due to the rugged terrain. The second largest state capital is Oklahoma City, the capital of Oklahoma. The area of land covered by this city is approximately 607.0 square miles. Phoenix is the third largest state capital in the US. Phoenix is the capital of Arizona, covering a land area of 474.9 square miles. This city is considered to be the most populous in the US, with a record of more than one million people residing in it. Tennessee’s Nashville is the fourth largest capital, covering a land area of 473.3 square miles. The fifth largest state capital is Indianapolis, Indiana. The city covers a land area of about 361.5 square miles which is closely followed by Texas’ state capital of Austin which covers a land area of 251.5 square miles. Columbus, Ohio’s state capital, is the seventh largest, covering 210.3 square miles of the land. Alabama’s Montgomery and Colorado’s Denver are almost equal, covering land areas of 155.4 and 153.4 square miles respectively. State capitals are significant to state governments. They house administrative offices where government officials are found. They also provide services such as banking, transport, as well as communication to the people. Roads, railways, and airports are well-developed in most cities and they provide the platform for people to move smoothly from one state to the other. State capitals also house sports and recreation facilities. Most developed stadiums and halls are situated in these cities, attracting players and investors. Also, state capitals are commercial centers where various business activities and investments are made.